Hit-and-run collisions are a common occurrence in Florida, where thousands of tourists and new residents are drawn each year by the state’s balmy weather and many attractions. In fact, the Florida Highway Safety and Motor Vehicles (FLHSMV) Administration estimates that as many as 25 percent of all crashes in Florida involve a hit-and-run driver. These crashes are indeed so common that Florida updated its law in 2014, as a result of which, hit-and-run drivers in the state face a four year prison sentence if convicted of leaving the scene of an accident that led to a fatality. Unfortunately, recovering compensation in these types of cases can be difficult, especially if the at-fault driver is never located, or does not have auto insurance, so if you were injured by a hit-and-run driver, it is important to speak with an experienced auto accident attorney who is well-versed in these issues and can help you seek compensation through the appropriate channels. Do not have required auto insurance. Even if a hit-and-run driver is later apprehended, it can be difficult to recover compensation from that individual if he or she isn’t insured and the injured party does not carry underinsured/uninsured motorist coverage, which isn’t required under state law. Even when a driver does have insurance, it may only cover $10,000 worth of bodily injury damages and $10,000 in property damage, which is the minimum amount required by law. In these cases, hit-and-run victims may need to obtain compensation by filing a claim against the at-fault party in court, although they can only do so if they can prove that they suffered a serious or disfiguring injury. Hit-and-run accident victims may also need to explore other avenues of recovery, such as a claim against a property owner or municipality, which can be held liable if improper design or substandard infrastructure, especially for pedestrians and cyclists, contributed to an accident. For instance, these entities could be required to share some of the burden of compensating the victim if parking lot design, a missing or inoperable traffic control device, or a lack of street lights and sidewalks contributed to or caused an accident. 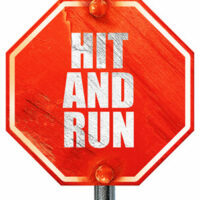 If you were injured by a hit-and-run driver, you could be eligible for compensation. To learn more about filing a claim against the person or entity who caused your accident, please call 954-566-9919 and schedule a free case evaluation with one of the dedicated and experienced auto accident attorneys at Boone & Davis in Fort Lauderdale today. You can also reach a member of our legal team by completing one of our brief online contact forms.